It's time for another papercraft challenge! This week's theme is celebrate! There's always something in life to celebrate...sometimes it's big, like a birthday, wedding or major achievement. But sometimes it's a bit more subtle, like maybe a sunny day, happy times or the value of friendship. They're all worthy of celebration, don't you think? You both win three digistamps of your choice from the Handmade Harbour store. Please email wendy@handmadeharbour.co.uk with your choices and I'll send them to you as soon as I can! Josie kicks off this week, and although this is a papercraft challenge she's working in fabric. 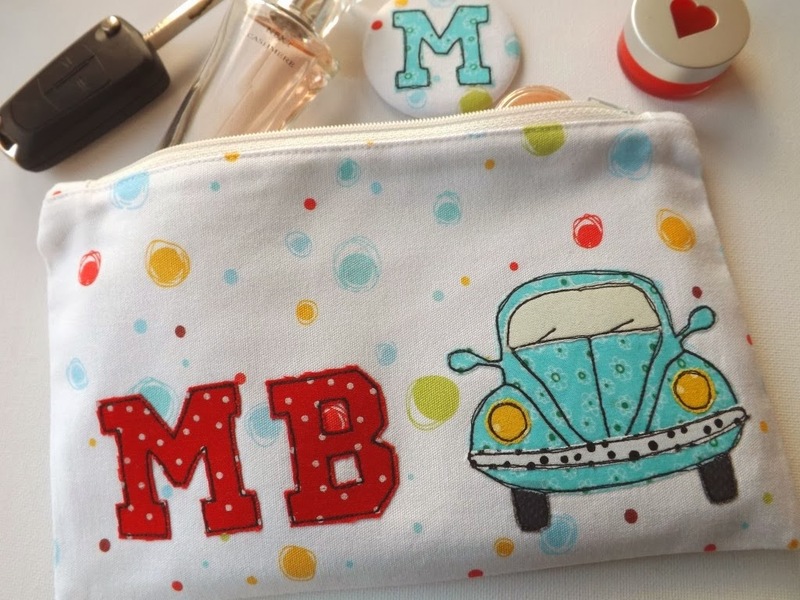 We'll have to forgive her that as she's used Handmade Harbour's Beetle digistamp to create a gorgeous makeup pouch, a fabulous gift to celebrate passing your driving test. The M in the background is a matching personalised mirror. I think you'd be as thrilled with this gift as you would be at passing your test! It also shows how versatile digital stamps are! 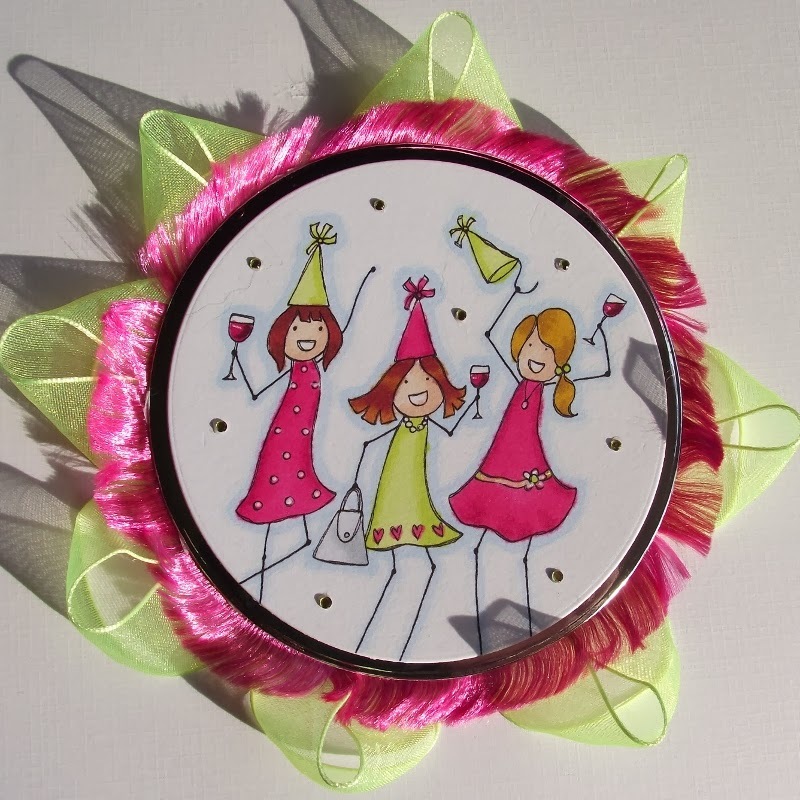 .....there's also a matching Hen Party rosette! 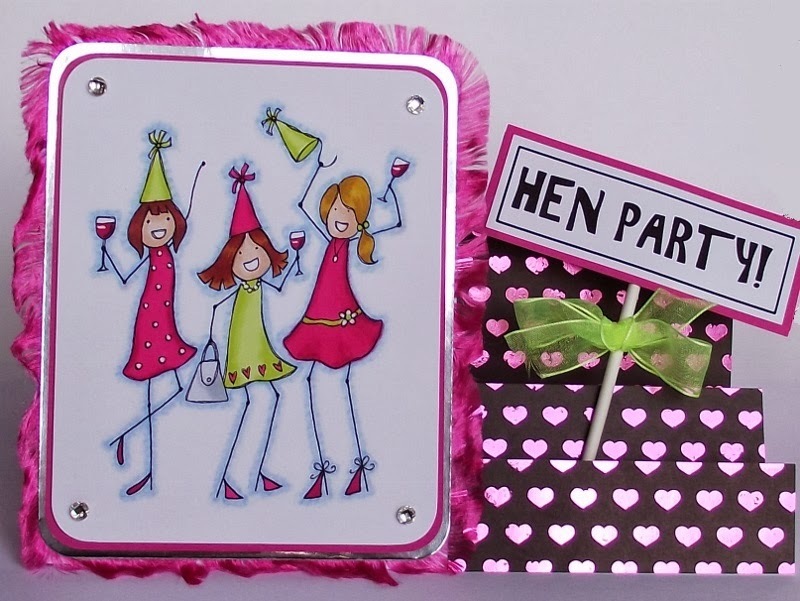 Emma made this beautiful card, with the birds and gifts digistamp. This would be a lovely birthday card for almost anyone - it's one of those universal designs. I love the clean lines and use of colour in this card. Kasia's gorgeous journal page says it so well: celebrate the sweet life, so quickly elapses.. oh, that's so true! We should celebrate every day - there's always something to celebrate, no matter how small. What's been worth celebrating in your world recently? If you've made something that fits our theme this week, we'd love to see it! There are two winners every week who get to choose three digital stamps as their prize. Using a Handmade Harbour digistamp (including one of our freebies) increases your chances of winning! To join in, just click to add your blog post! I just love the make-up pouch!! I'm gonna have a look at that stamp!